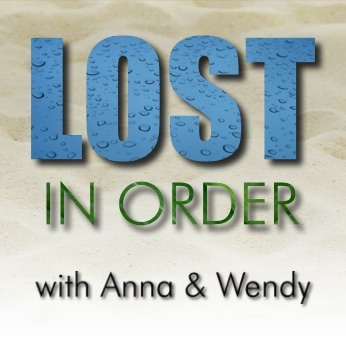 Anna and Wendy discuss episode 84 of Chronologically LOST, Episode 084 – December 2007, featuring Jack’s downward spiral and sudden reversal thanks to Ben, Kate getting a visit from lawyers, Kate visiting Sun, the misadventures of Hurley and Sayid, and airborne Hot Pockets. Podcast length 1 hr 21 min. Anna and Wendy discuss episode 83 of Chronologically LOST, Episode 083 – December 2007, featuring Locke’s journey from Tunisia to the tomb and Jack starting to lose it. Podcast length 1 hr 25 min. Anna and Wendy discuss episode 82 of Chronologically LOST, Episode 082 – 2006-2007, featuring Kate’s trial, Jack and Kate’s relationship, and Desmond on a mission based on not a dream, but…a memory. Podcast length 1 hr 30 min. Never Let It Fade Away: The Efren Solanga Extravaganza – a silly episode of the Lost Revisited Now podcast focusing on Efren Solanga, with songs, skits, and more! Anna and Wendy discuss episode 81 of Chronologically LOST, Episode 081 – 2005-2006, featuring globetrotting headhunter Ben, Sayid and Elsa, various misadventures of Hurley, and the start of Kate’s trial. Podcast length 1 hr 30 min.